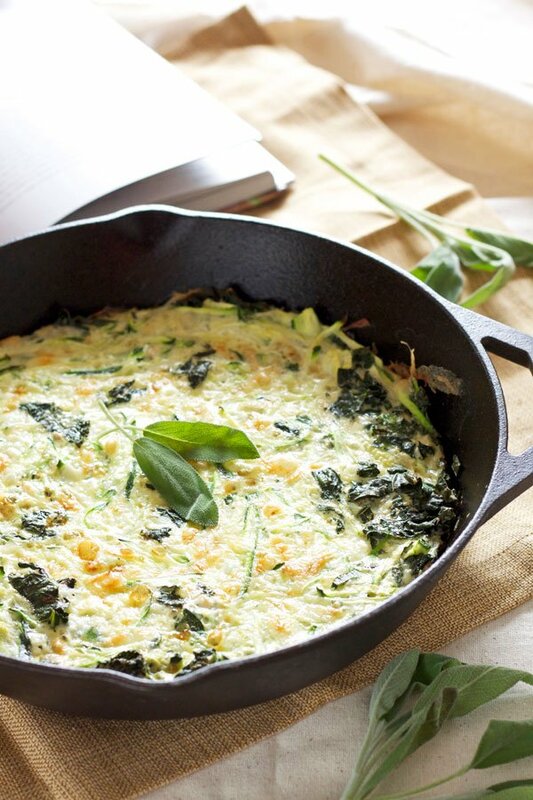 The last reason I love this crustless vegetable quiche is that it can be made ahead of time. Chop your vegetables, crack your eggs, mix in all that delicious dairy, then bake it off in the morning for a stress free breakfast. While it’s baking you’ll be able to prep other dishes or sit back and relax with your family and guests. I’ve hosted far too many brunches and dinners where I was running around like a chicken with my head cut off. It’s far more relaxing and enjoyable for you and everyone else if you can get as much done ahead of time as possible. 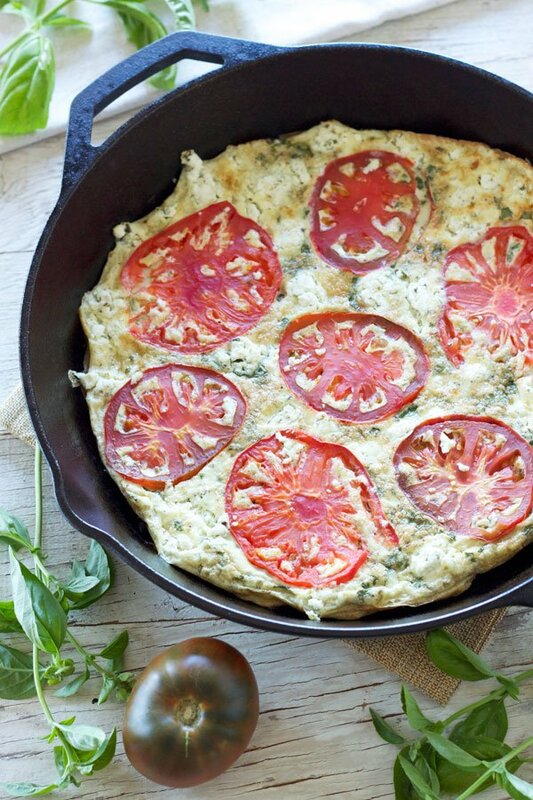 Be sure to add this healthy and delicious crustless vegetable quiche to your brunch menu this Easter! 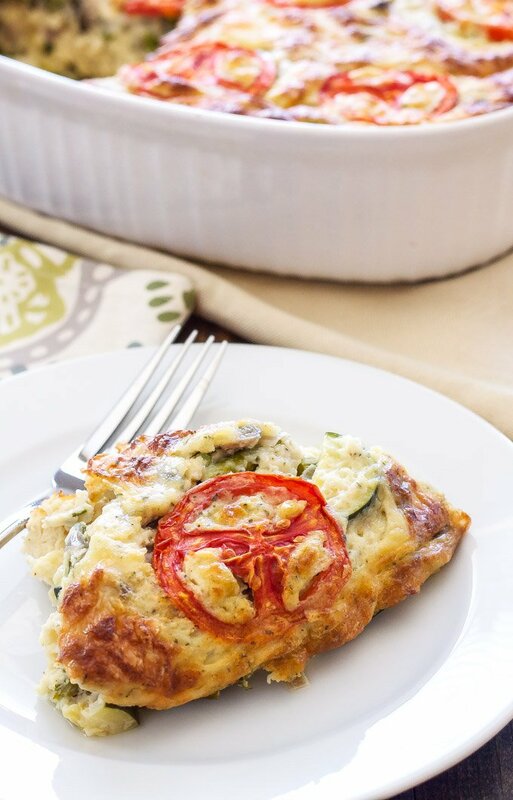 This crustless vegetarian quiche is perfect for serving at your next breakfast or brunch! Add the cooked vegetables to the egg mixture and fold everything together. 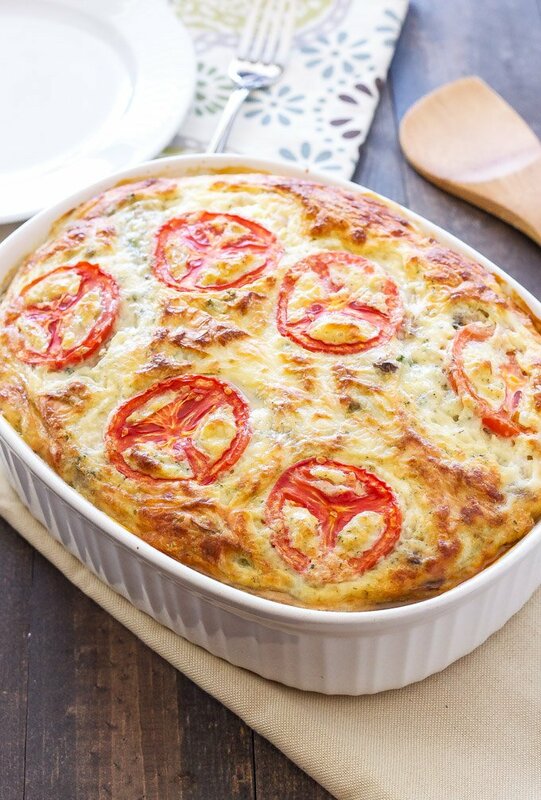 Pour the quiche into the prepared casserole dish and top it with the remaining shredded cheese and sliced tomato. Place it on the middle rack of the oven. Bake the quiche for 15 minutes at 400 degrees, then without removing the quiche from the oven, lower the temperature to 350 degrees. Bake for another 45-55 minutes or until it is lightly browned and set. One question about the quiche: I have no other use for the yolks from those 10 eggs I'd need for the egg whites, so could I just use the entire 12 eggs? I have no health fears about the yolks--in fact, nutritionists are now coming around to believe the yolks are the healthiest part of the egg. Or would the recipe not work if I used the entire egg? You can definitely use the whole egg if you prefer, I see no reason why it wouldn't turn out. It will just be a little richer than if you had used egg whites. This is absolutely gorgeous! Perfect for the Easter table for sure. I'm a huge asparagus fan, too. Thanks Julie! Huge asparagus fan over here as well! 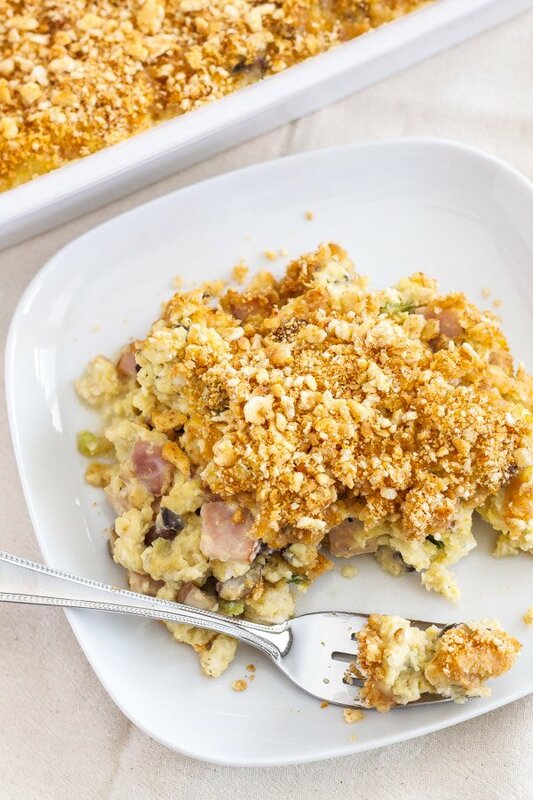 This is perfect for Easter brunch or any weekend morning! 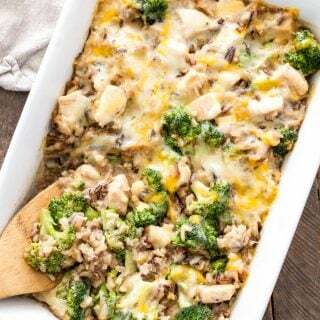 It looks like you could always add any veggies you have on hand and it will still taste delicious! Thanks Kristy! 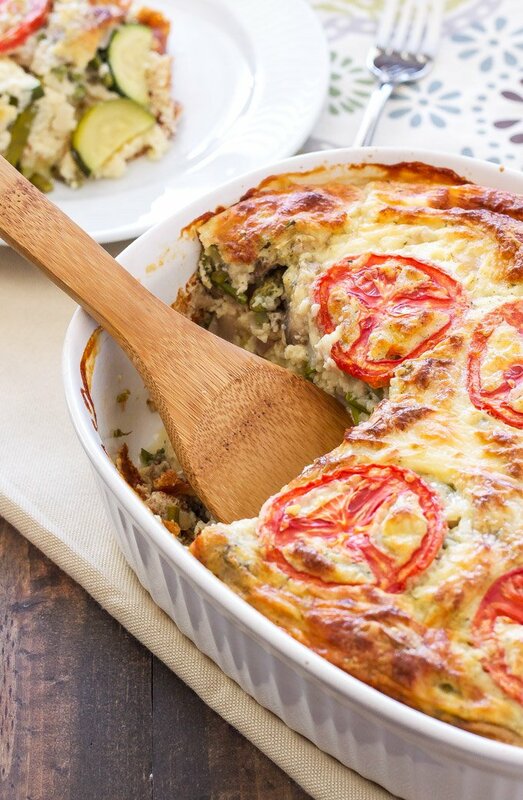 You could absolutely switch up the vegetables in the quiche, I've done that several times. This time I wanted to make sure I got some tasty spring asparagus in it! When do the tomatoes go in? Did I miss that part? I can't see when I'm supposed to add them. Can I skip the flour? 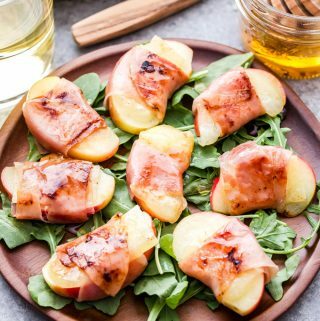 I have some gluten free guests that will be coming and this looks delish! Hi Liz, I haven't made this quiche without the flour. The flour helps to thicken all of the liquid in the quiche and bind it together so I'm not sure how it would turn out if you eliminate it. You may want to try using a gluten free flour instead, there are lots of good ones out there now. Hi Becca! Lucky for you quiche reheats well, so go ahead and get that extra sleep and make it the night before! To reheat it I suggest putting it in the oven at 325 degrees for about 15-20 minutes or until the center is warm. You may want to cover it loosely with foil to prevent the top from getting to brown. If it needs to be reheated at work and a microwave is only available, I would probably recommend everyone reheat their slice individually. I hope it works out for you! This just made my day Sabrina! I'm so happy to hear you and your family enjoyed the quiche! Danae, Since I plan on making this the night before and placing it uncooked in the refrigerator do I have to let it set out to get to room temperature before putting it in the oven? If it goes directly from the refrigerator to the oven does it need to be baked longer? Thankyou for the additional information. Hi Jeremaih. If you make it the night before I would let it sit out on the counter and come to room temperature before putting it in the oven. This could take anywhere from 30 minutes up to an hour depending on the temperature of your house. Hi Robin, You could definitely cut out some of the cheese and it shouldn't have any affect on the quiche. Chicken sausage sounds like a wonderful addition, enjoy! How do you de-seed the tomato before slicing it? I just scoop them out with my fingers or use a spoon or knife, then slice. This quiche was ABSOLUTELY DELICIOUS! I didn't have any asparagus, so I used spinach instead... turned out great. I plan on slicing it and freezing individual servings. Thanks so much for such a wonderful recipe. Thank you and I'm so glad to hear you enjoyed the quiche Paige! 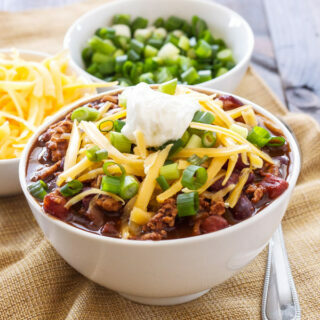 Would it be possible to substitute non- or low-fat Greek yogurt for the cottage cheese? 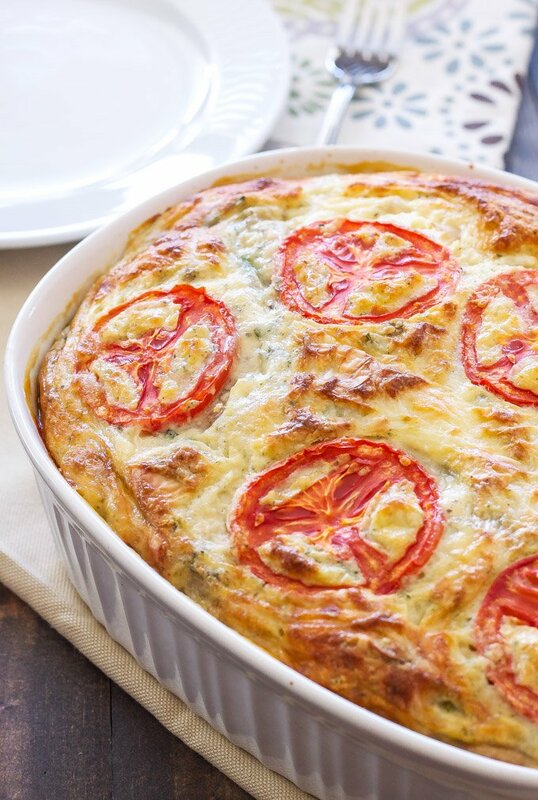 What a beautiful job that you've done with this healthy quiche recipe. I'm especially intrigued by your use of cottage cheese in it, what a fantastic idea! Looking forward to trying this version, soon!